The 4KSummit has revealed part of its agenda confirming the participation of UHD Alliance, the World Forum for UHD and the Forum for the Advancement of the Media in Europe (FAME), among others. Michael Zink, vice president of Warner and president of the UHD Alliance, will be in charge of the opening on the second day, Thursday, 9 November. At that same session, on Thursday, the UHD World Forum will offer a masterclass, something they only perform at the NAB Show in Las Vegas in April and at the IBC in Amsterdam in September. On Friday 10 November, the Forum for Advanced Media in Europe (FAME) will present its conclusions on the UHD after a meeting of its working group, which will meet on November 8 and 9 at the Digital Content Hub of Malaga (Polo de Contenidos Digitales). Hans Hoffmann, Head of the Unit on Media Fundamentals and Production Technology (EBU), and Stephan Heimbecher, Director of Innovations and Technology Standards at Sky Germany, will be responsible for the announcement of the conclusions to the attendees of the 4KSummit, as co-president of FAME. During the three days of the 4KSummit, speakers, brands and attendees from more than 20 countries will meet at the Digital Contents Hub of Malaga in an event that is recognized as the most important international meeting of engineers and producers of Ultra High Definition (UHD) leading content. This announcement of the 4KSummit has also revealed an important space for Sport, considered to be the drive of the implementation of 4K-UHD among consumers. OBS (Olympic Broadcasting Services), producer of the International Olympic Committee (IOC), will be represented by its Engineering Systems Director, Guillermo Jiménez; the Catalan producing company Mediapro will send its technical director, Emili Planas; and the Sports channel Eurosport, the new home of the Olympic Games, will send Fernando Ruiz, its sports content director for Iberia. In addition, advances in the application of Virtual Reality, Augmented Reality and Mixed Reality, in relation to Ultra High Definition, will be addressed in a keynote by Massimo Bertolotti, head of Innovation at Sky Italy. 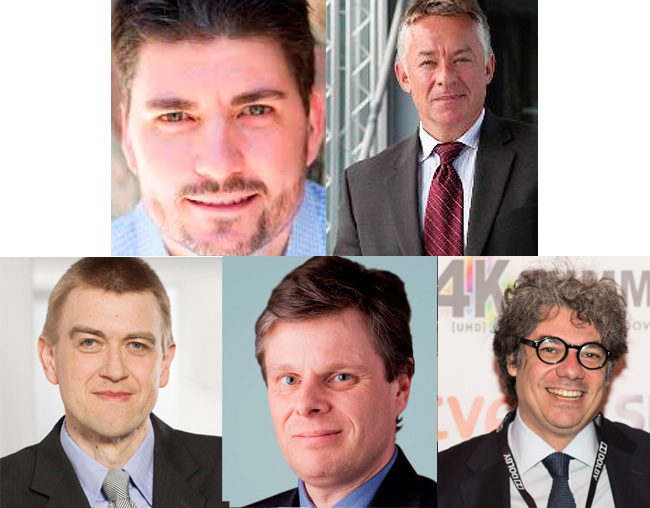 In this year’s edition, the 4KSummit has invited Paul Gray, head analyst of multinational IHS Markit, to analyse the deployment and evolution of Ultra High Definition (UHD) worldwide from a critical perspective. Gray will participate on the last day of the summit. This announcement regarding the agenda can already be consulted on the event site, and will be updated within the next days and weeks. Medina Media, organizer of the event, will take advantage of its assistance to the MipCom from October 15 to 19 to confirm the participation of other speakers and promote international attendance to the Digital Content Hub of Malaga.